By Fabric Finders Fine Quality Heirloom Fabrics. 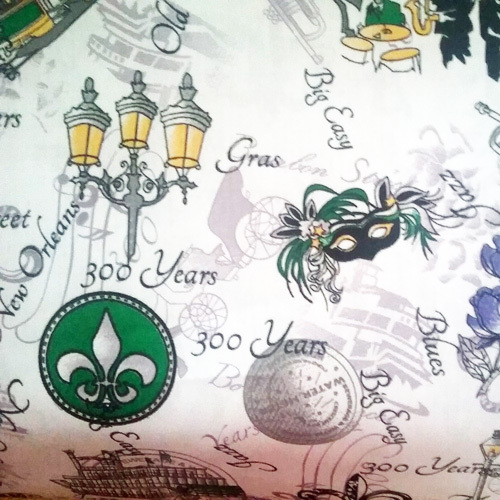 Louisiana Bayou Toile Fabric. 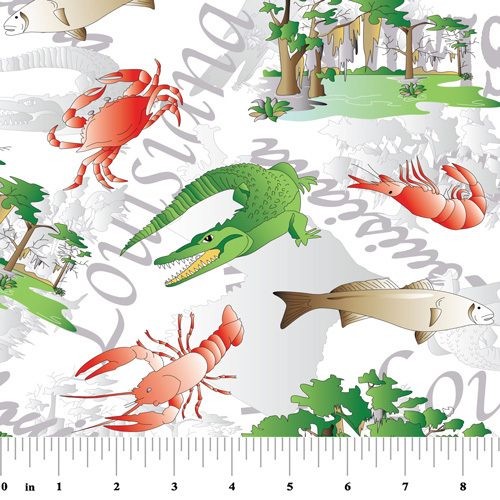 This fabric has alligators, lobsters, crabs, fish and more! 100% cotton fabric. Lightweight and drapes beautifully. Suitable for apparel or quilting. Pattern # 2221.